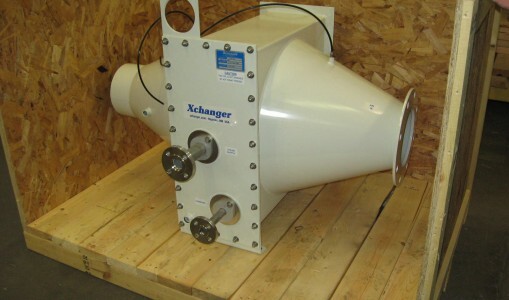 This 15,0 00 lb. 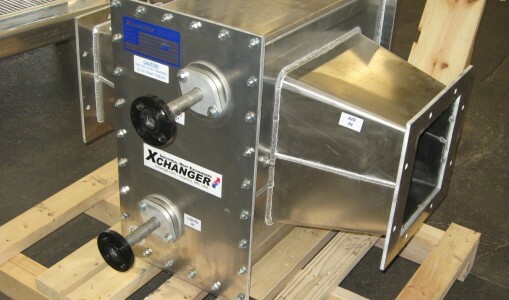 stainless steel behemoth is by no means the largest heat exchanger manufactured at Xchanger, but it is a contender. 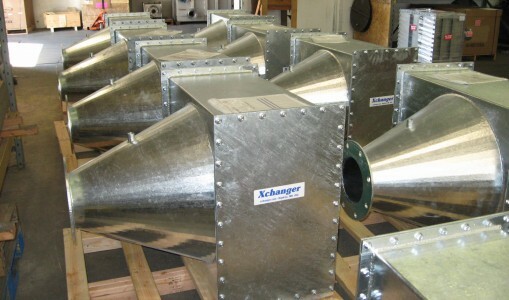 This C Series is designed for 5 PSIG and 500°F and heats/cools 27,000 SCFM of nitrogen with a maximum pressure drop of less than 5 inches of water column. 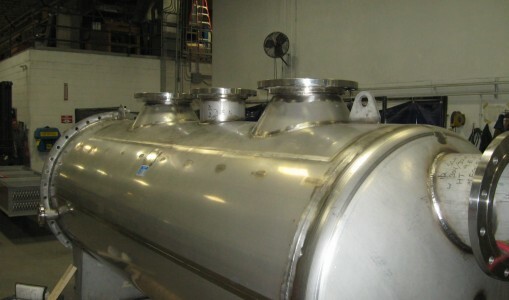 It will be used in a closed-loop, 24 hour batch processing operation to heat and cool a 3 PSIG nitrogen gas stream. 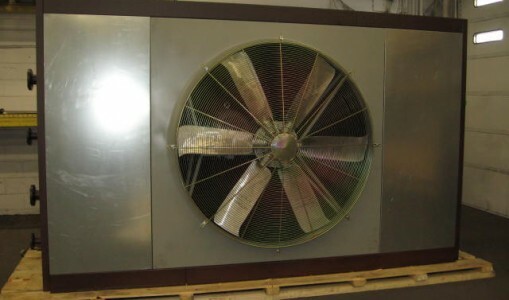 The heating medium is heat transfer oil. 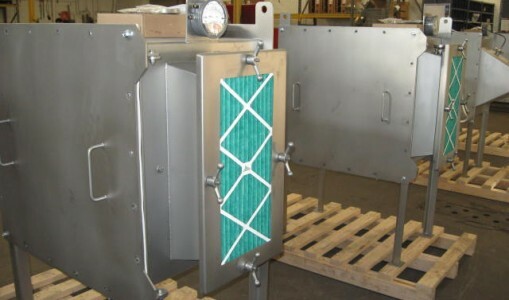 The cooling medium is a water / glycol mixture. 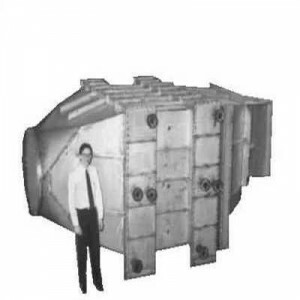 This vintage photo shows an Xchanger engineer standing next the custom designed multi-stage heat exchangers. 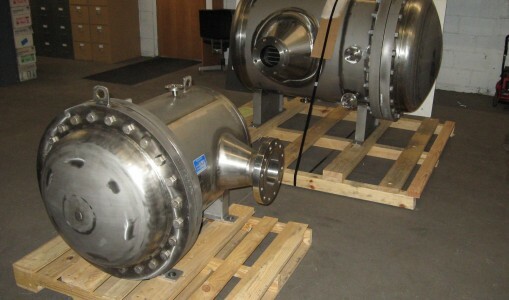 The unit had just completed its final pressure and quality control tests prior to shipment to a customer in the chemical industry. 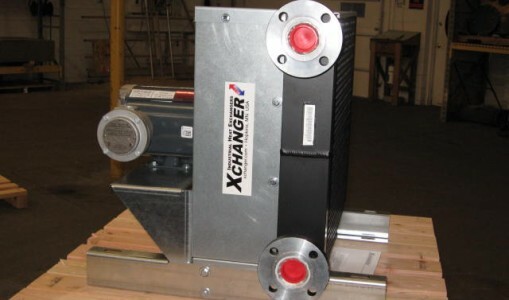 Xchanger can custom-engineer heat exchangers to alternately cool, heat, and dehumidify gas streams using water, refrigerant, glycol mixtures, heat transfer oil, and steam. 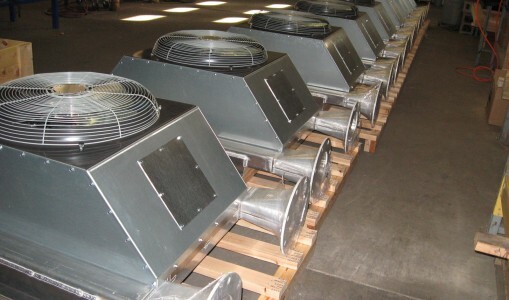 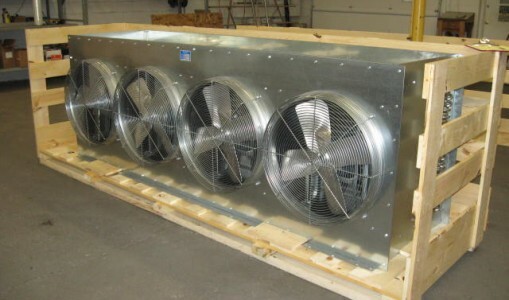 Additional stages can be added or incorporated with internal cores to eliminate mist or provide particle filtration.